If you're reading this then your answer would probably be the same as ours. No questions asked it's Michael Thompson...right? Well Greg Hanson from the Arizona Star agrees. 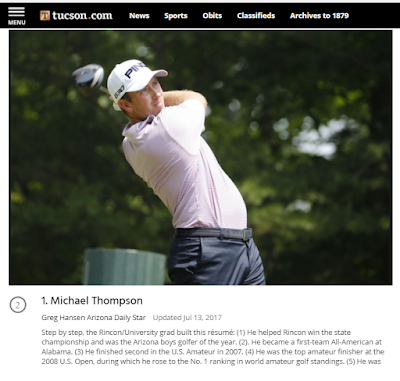 He wrote an article on July 13th documenting his list of the top men's golfers from Tucson and Michael was his #1. Way to go Greg! You can read the article by clicking on the picture above.